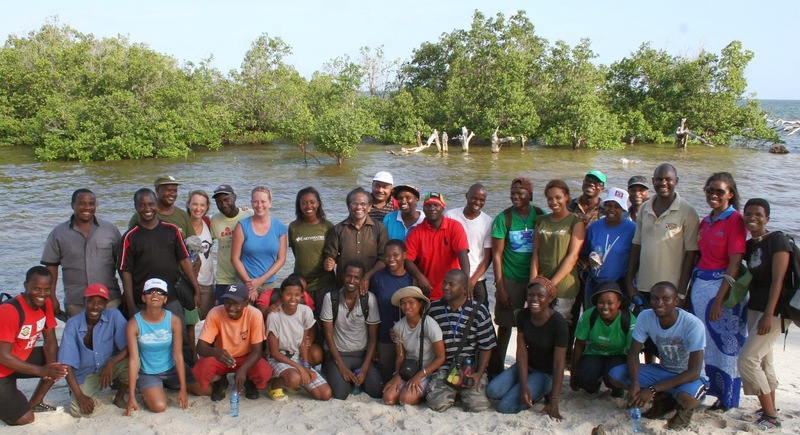 From the 2nd to the 10th of December the First International Mangrove Training on Biodiversity and Ecosystem in the Western Indian Ocean Region took place at the University of Nairobi’s Moana Research Station for Marine Studies, in Diani, Mombassa, Kenya. The training was attended by more than 20 participants from 10 different countries. The team of trainers were also international, including Professor Kathiresan, Director of the Centre of Advanced Study in Marine Biology, Faculty of Marine Sciences, at Annamalai University, India; Hanneke Van Lavieren from the UNU-INWEH; and Dr Cairo from the Kenya Marine Fisheries Research Institute (KMFRI). 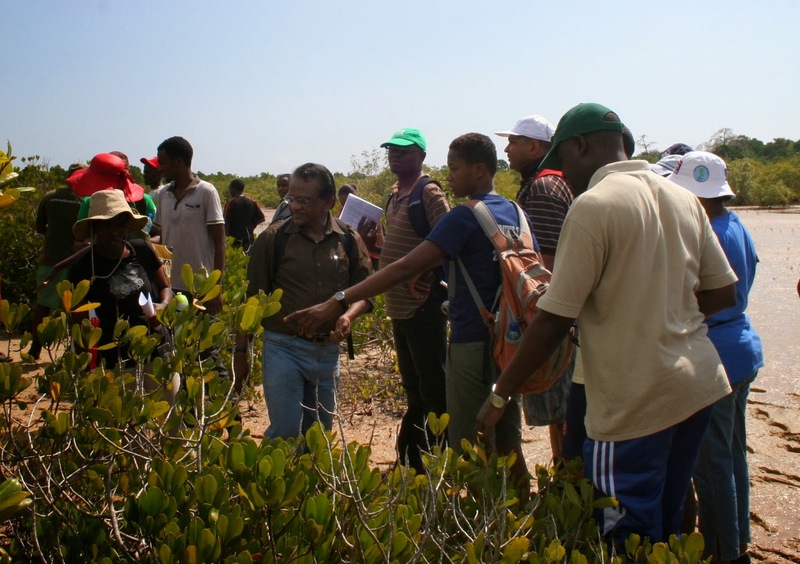 I am currently working as a Mangrove Conservation Officer at Blue Ventures Conservation (BVC) in Toliara, Madagascar and this international mangrove training course has been the first official training course on mangroves I have been part of. However, I acquired knowledge and experience on mangroves through the completion of an internship with Mangrove Action Project (MAP) in Thailand. I have been on the ground with BVC for over a year now. During the week of the training we all learned a great deal about mangroves. The objective of the training course was to build the capacity of mangrove practitioners and managers throughout the region, as mangroves are under huge pressures from human over-exploitation. Students were asked to give presentations about mangroves in their respective countries which made me aware that the problems faced by mangroves in the Western Indian Ocean region are all very similar. Professor Kathiresan shared case studies from India in his presentations. He explained the uses of mangroves in India and how healthy mangrove buffers protected many people during the 2004 Tsunami, which I found especially informative. I also learned how local fishers protect themselves from attacks by Sundarbans Tigers by wearing a mask. Case studies from Tanzania and Kenya were shared and were both very informative and instructive. We also had practical field studies which included a mangrove marathon and a visit to the Mikoko Pamoja Project site. I was very enthusiastic to learn about the Mikoko Pamoja Project as it is one of the very first successful community mangrove carbon projects and could therefore act as an example for BVC, which is trying to implement a similar project in Madagascar.